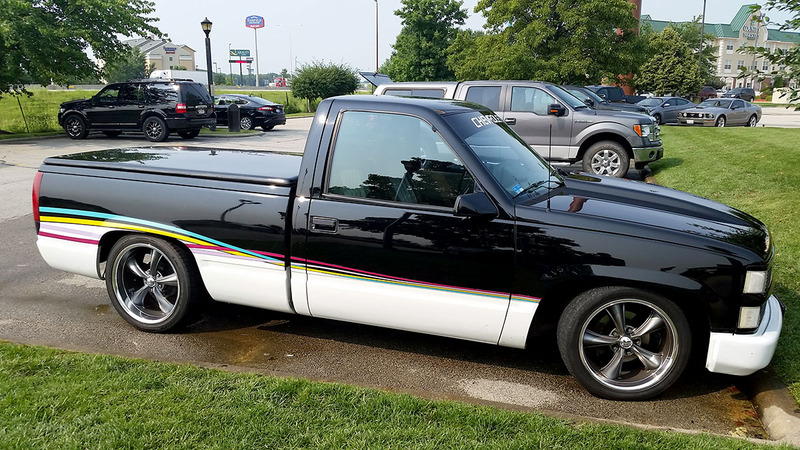 1993 Chevy C1500 Indy Pace Pickup Truck | One of 1500 made. 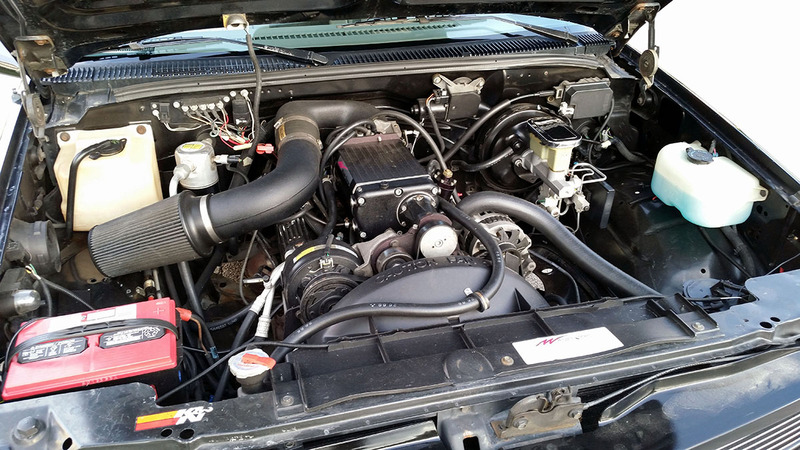 This website is dedicated to the 1993 Chevy Indy Pace Pickup (C1500 – VIN – 1GCDC14K4PZ233704) that I purchased from a private party in Illinois on June 13, 2015. Based on my research, I believe only about 1500 of these were made. I share my experiences, upgrades, modifications, restorations and other points of interest to Chevy Pickup Truck owners and enthusiasts. If you would like to communicate, use the Contact Form on this website. I’ll be happy to get back to you with any information I can share to be helpful. The look with winter tires and wheels. The original Indy Pace Truck side decals only made in 1993. These were not available when the truck was repainted in 2018. The Boss wheels and Hankook Ventus tires that were on the truck when I purchased it. I felt these were not quite right for the retro muscle car look I wanted. A photo I took at a rest stop on one of my road trips. Engine bay with Whipple supercharged original 350 V8 engine as it was when purchased from a private party on June 13, 2015. 1993 Chevy Indy Pace Truck (C1500) as it was when purchased from a private party on June 13, 2015. 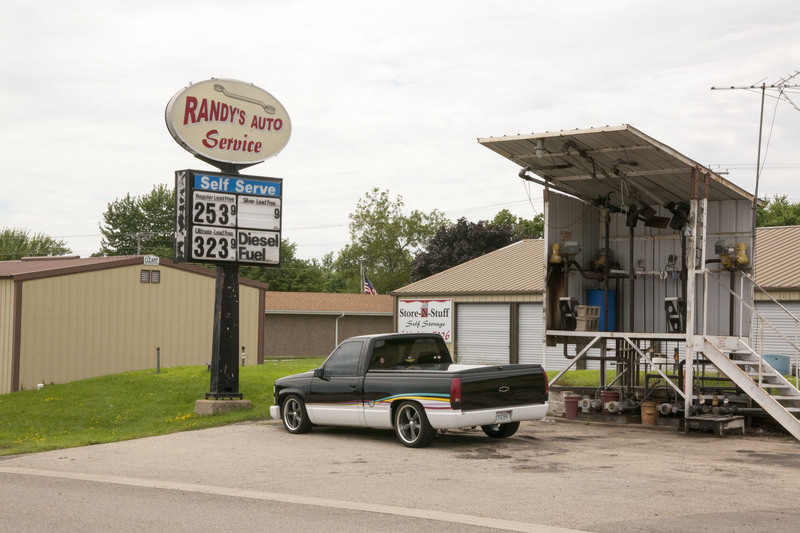 One of my favorite photos of the truck at Randy’s Garage, Barneveld, WI. One of the main reasons I purchased the pickup was to haul my Triumph Bonneville motorcycle to track days and other events.